Not the easy photo it appears to be. 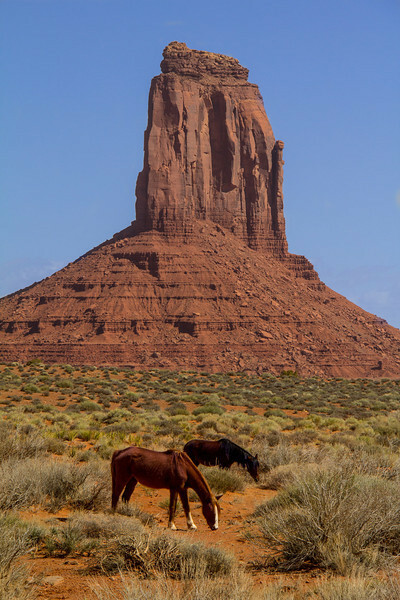 These horses constantly moved away from me which changed the angle I wanted for the monument backdrop. I ran and scrambled for 150 yards, through bushes and ravines, to get an acceptable angle before they finally paused for several seconds.